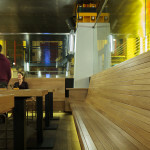 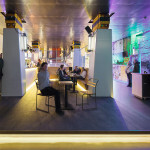 studio Barbara Vos and studio TILIA transform The Hague’s concert hall into its public living room. 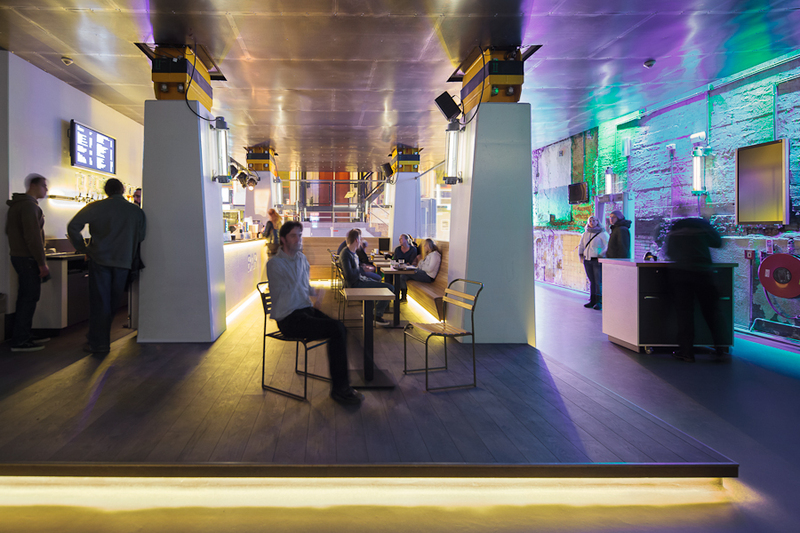 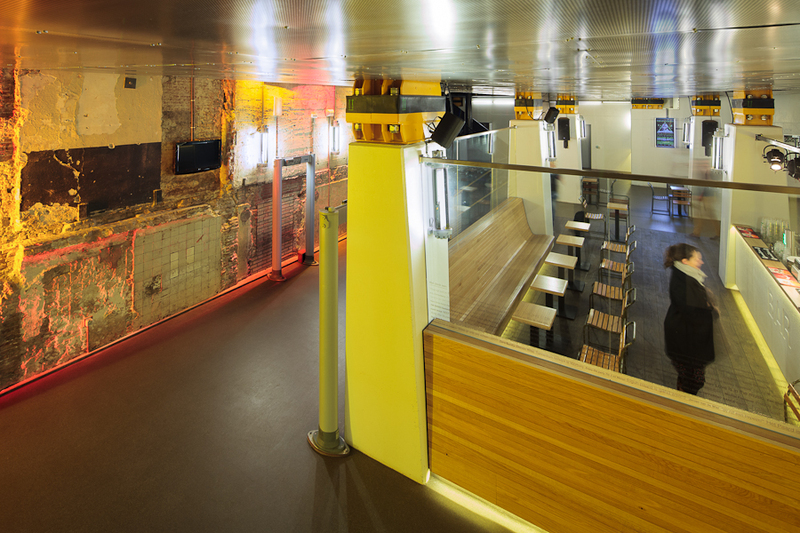 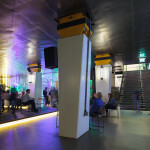 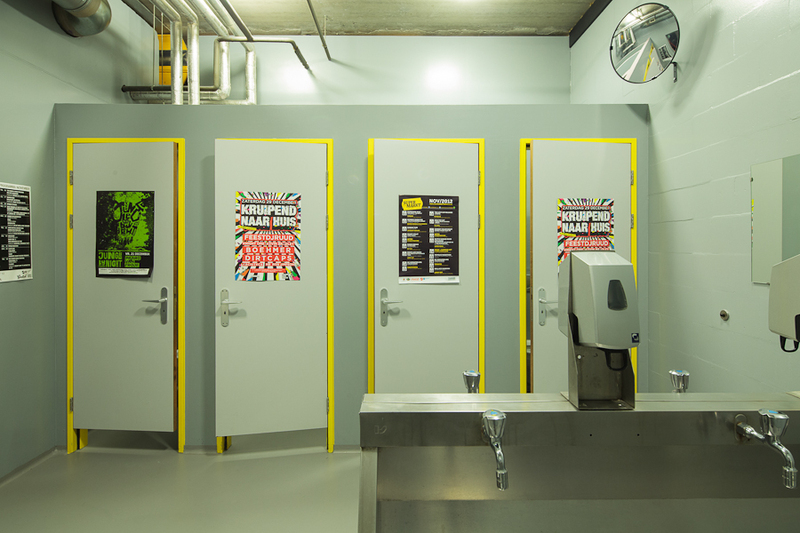 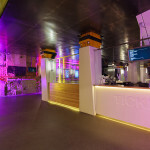 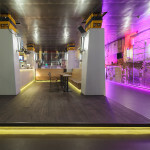 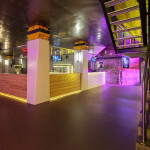 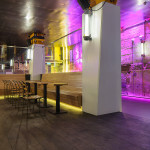 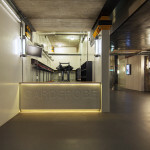 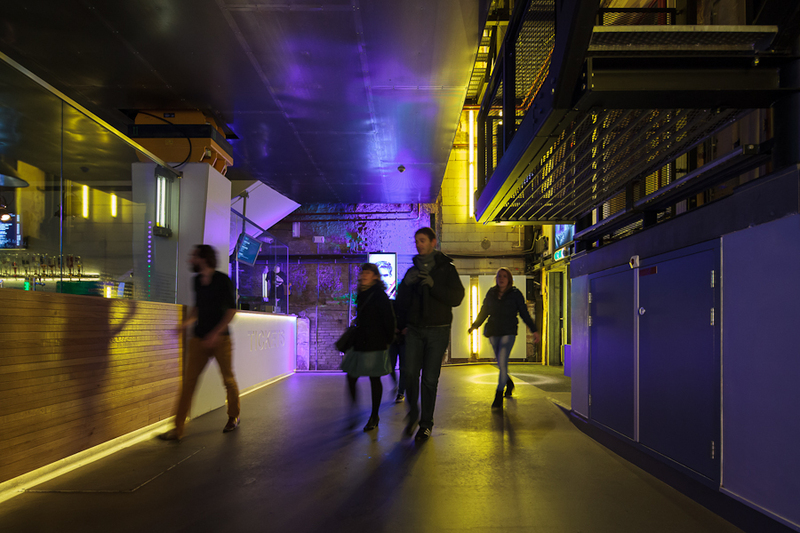 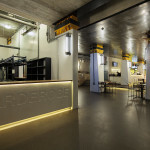 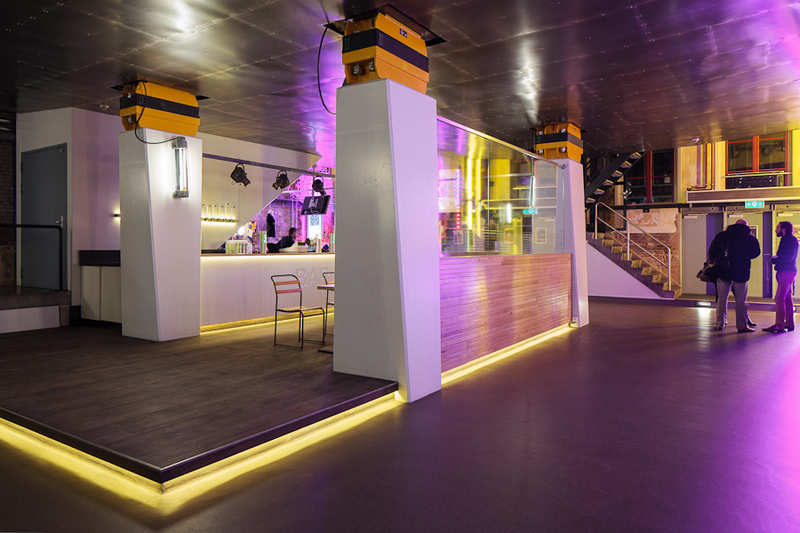 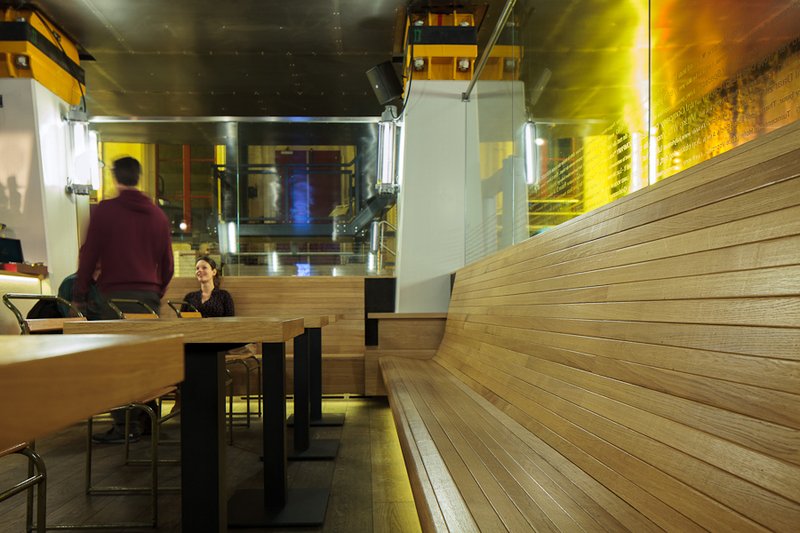 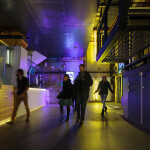 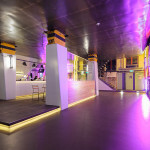 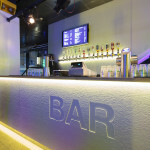 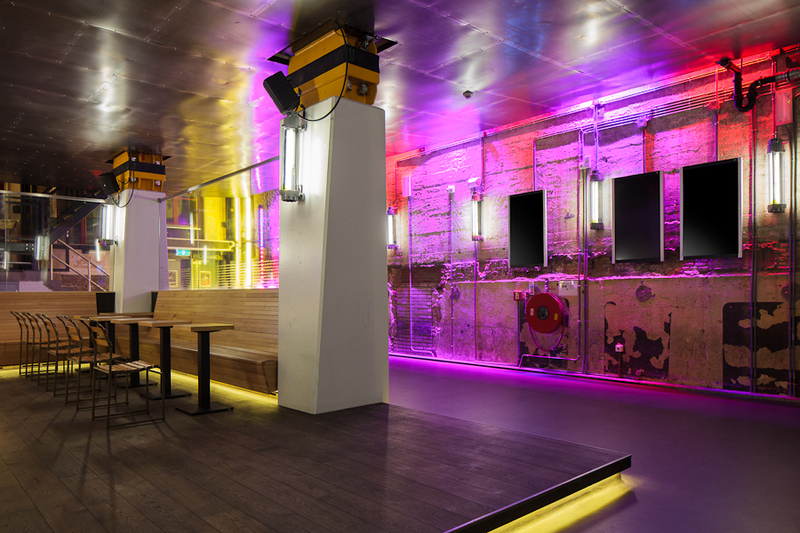 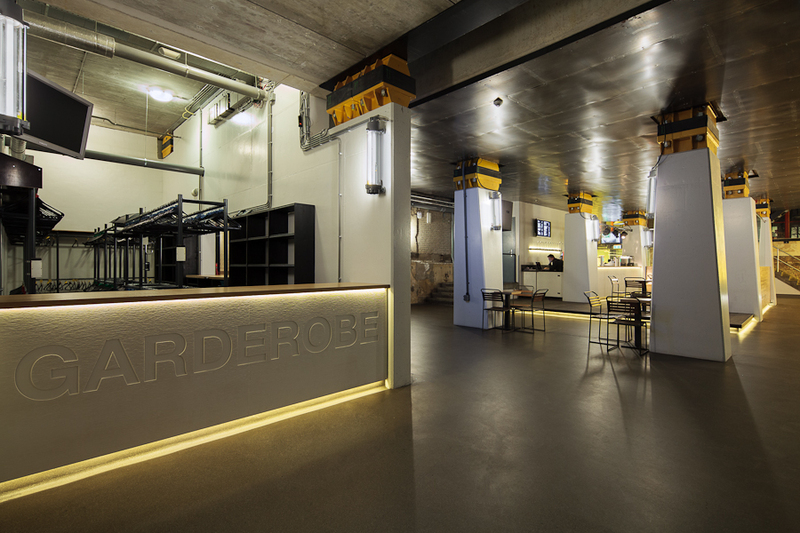 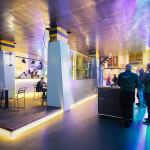 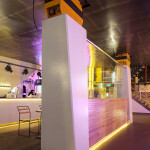 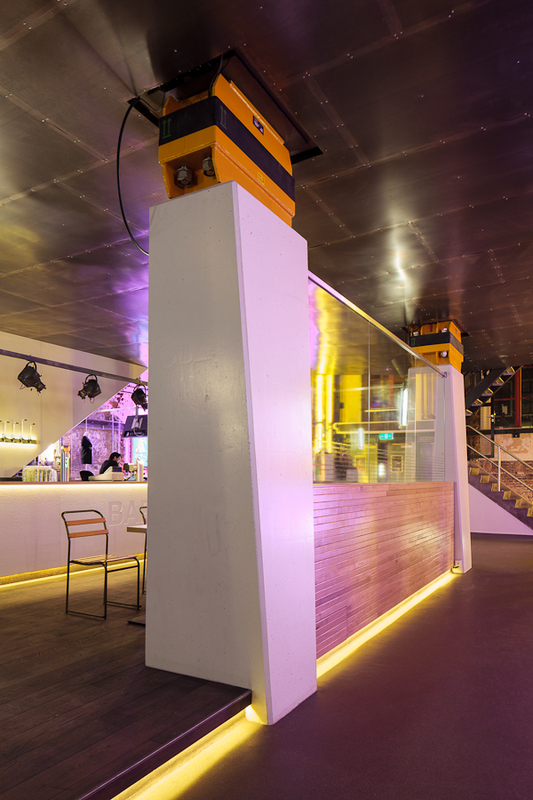 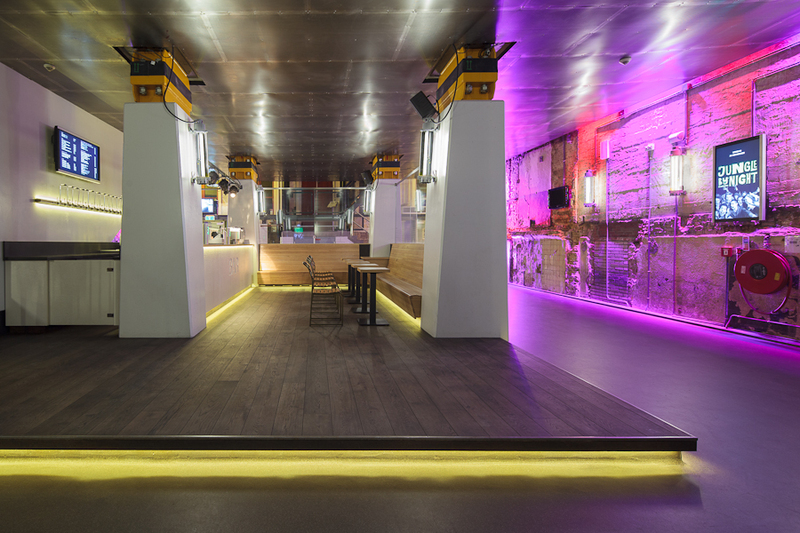 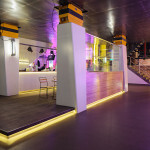 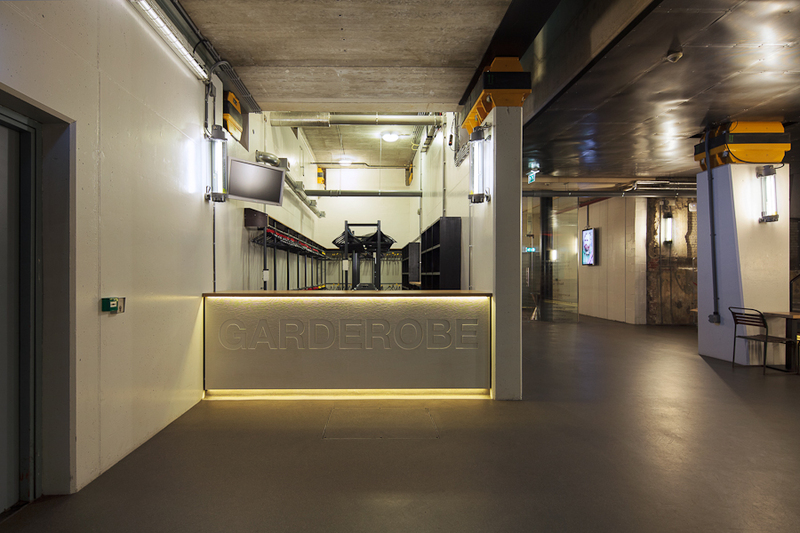 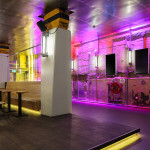 After forty years, in the summer of 2012 the famous concert hall,‘Paard van Troje’ (the Trojan Horse) was thoroughly refurbished. 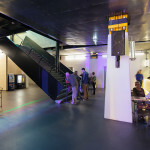 The duo from The Hague, studio BARBARA VOS and studio TILIA was appointed to transform the foyer of the concert hall into the public living room of the city. 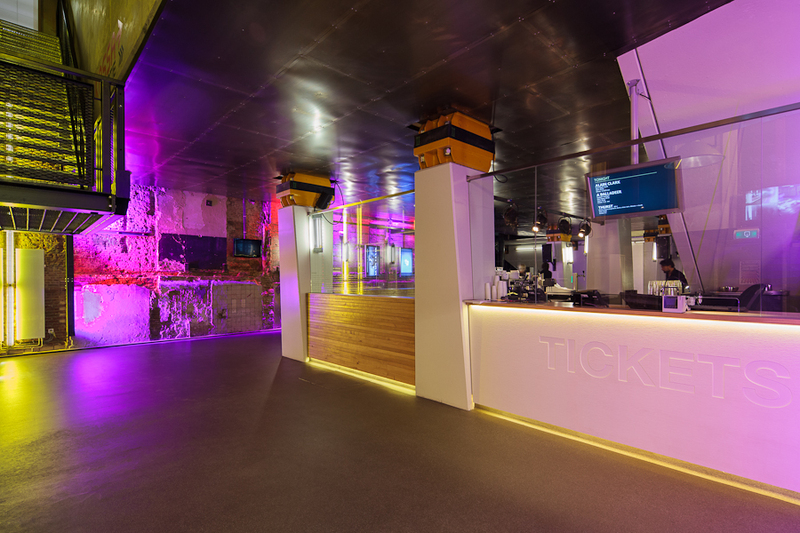 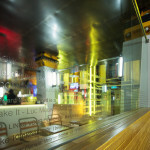 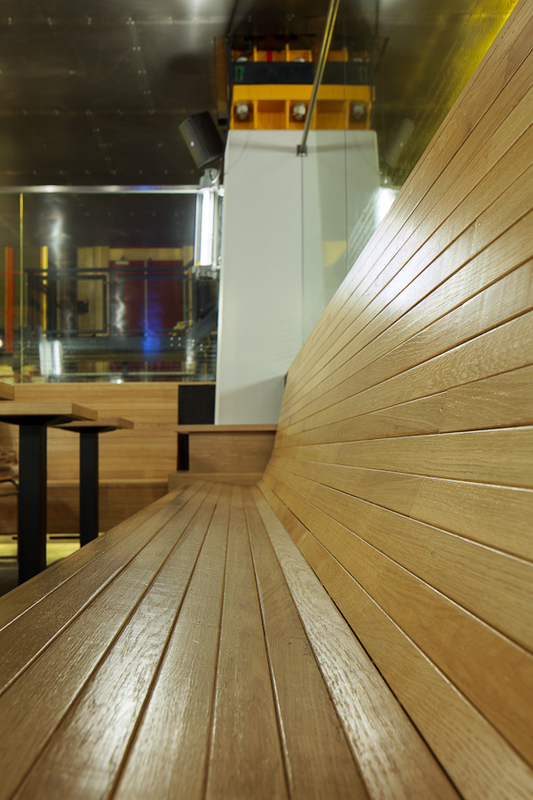 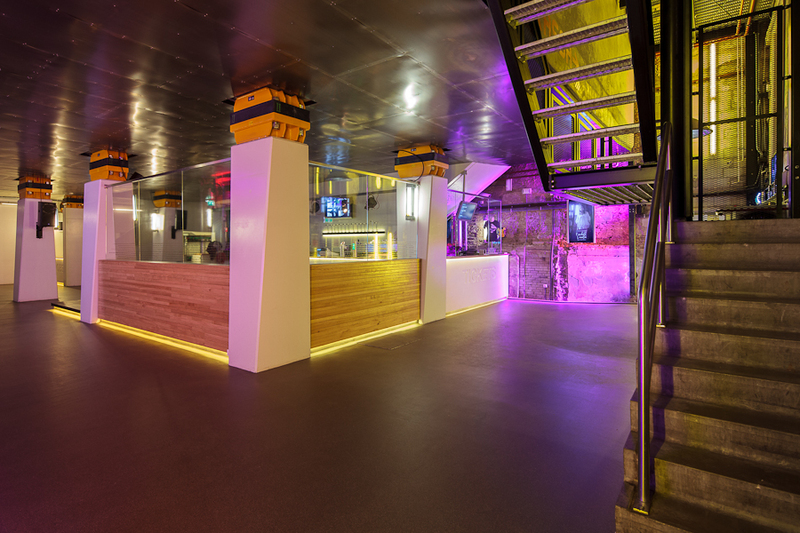 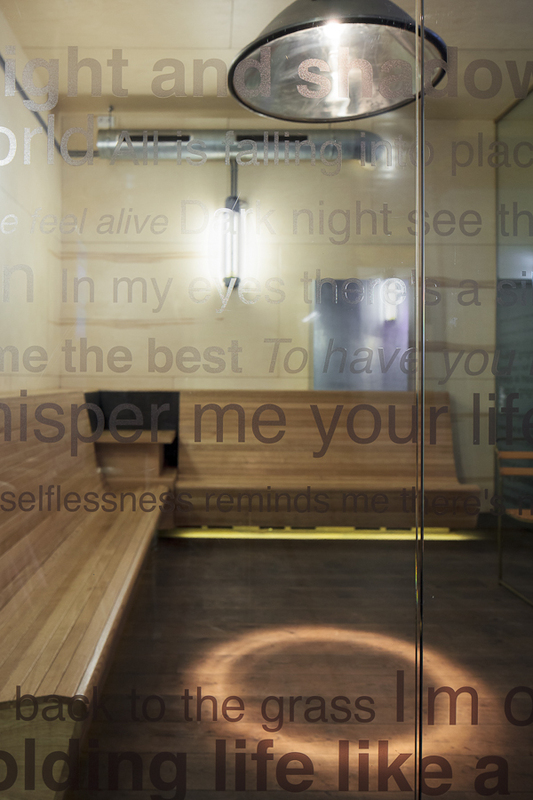 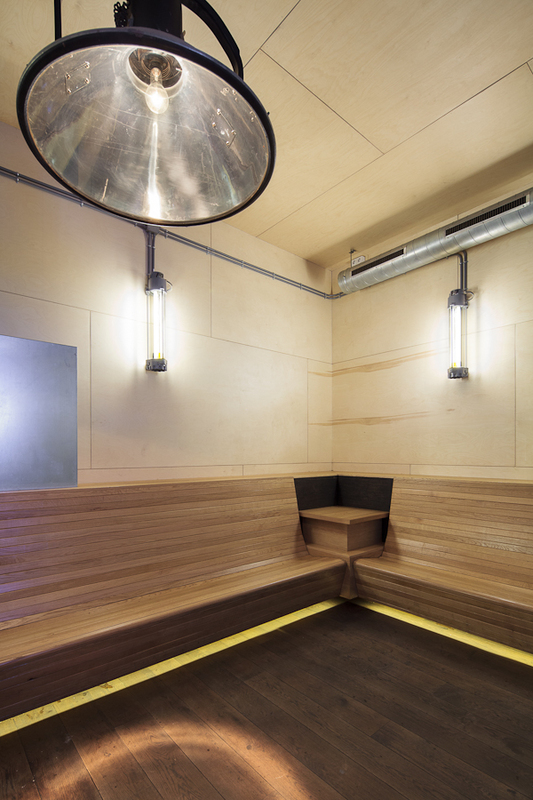 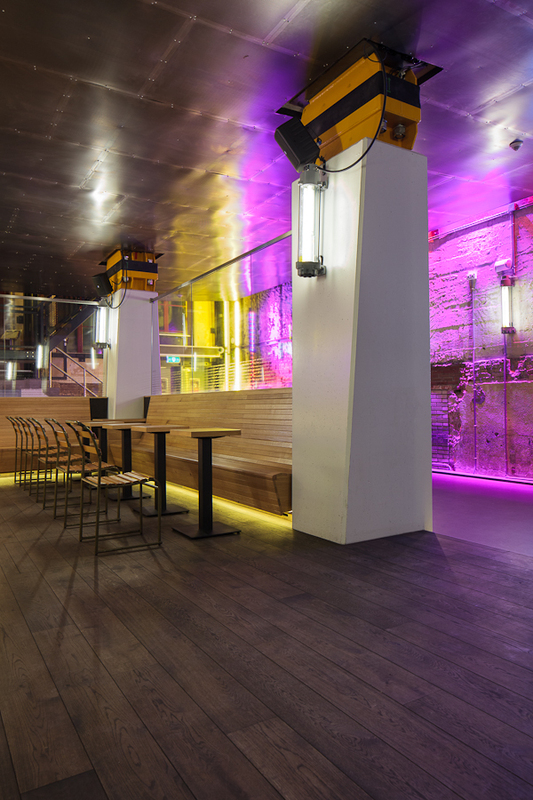 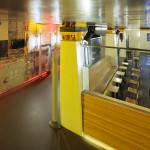 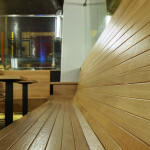 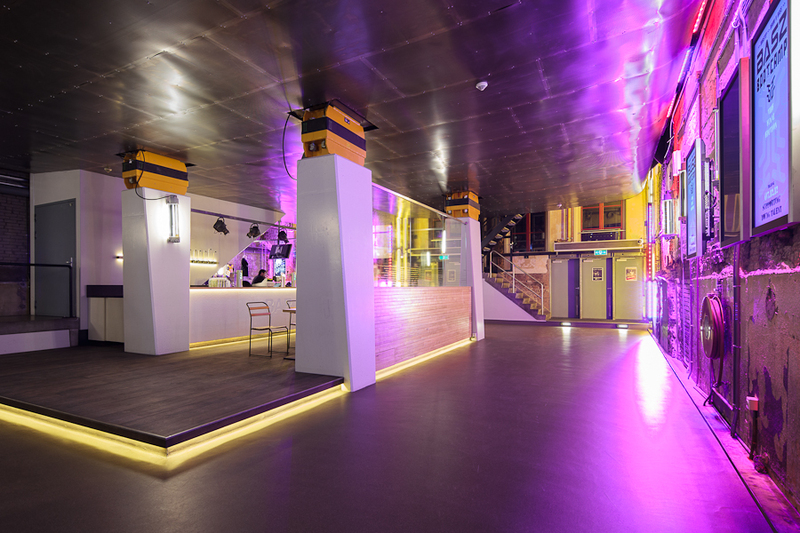 The design, typified as ‘raw glistening’ adheres to the changing needs of concert going public; a night out does not only needs to be a grand event but also an intimate and personal one. 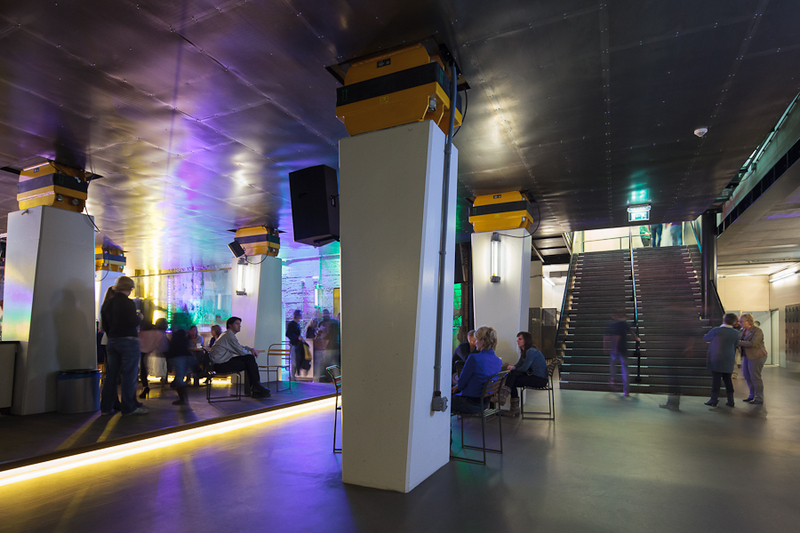 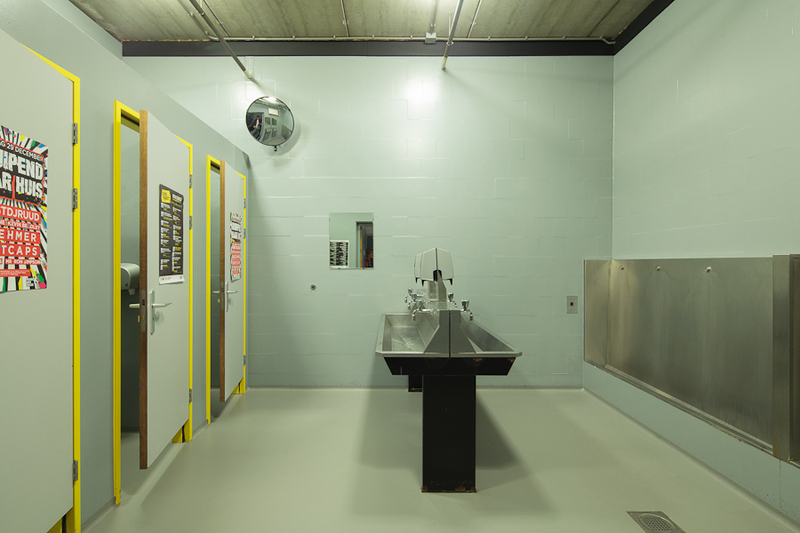 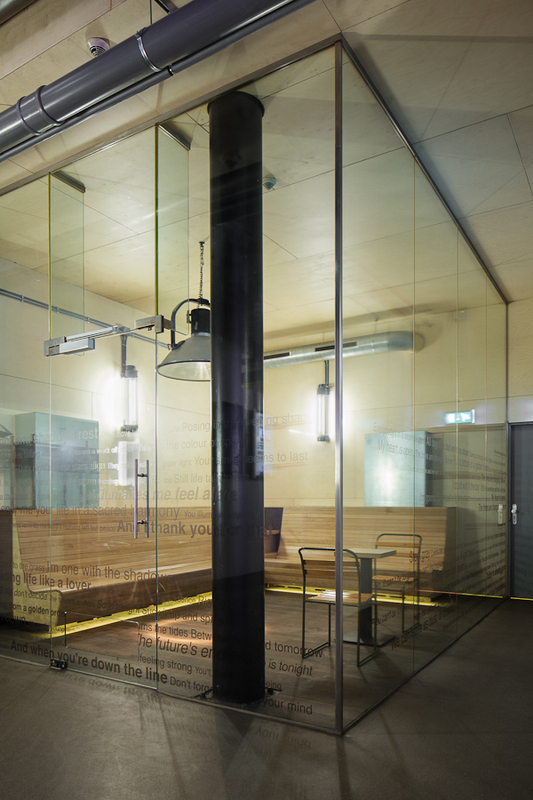 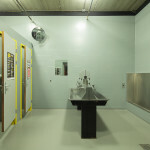 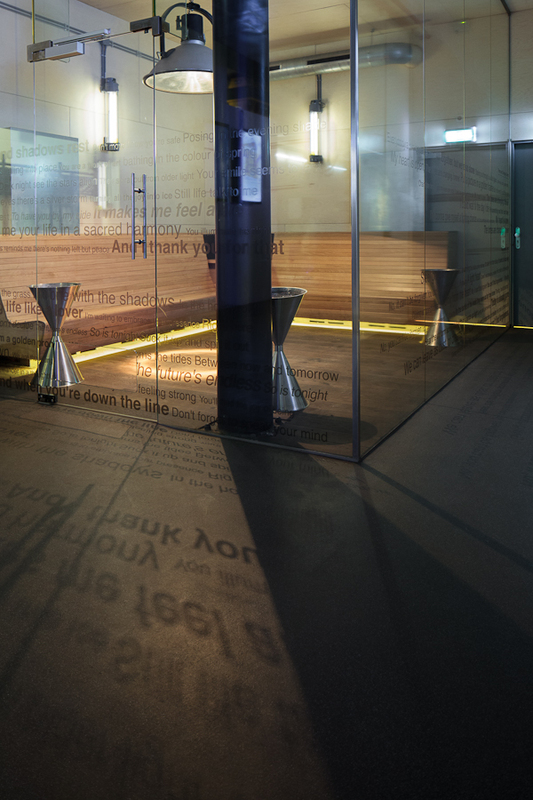 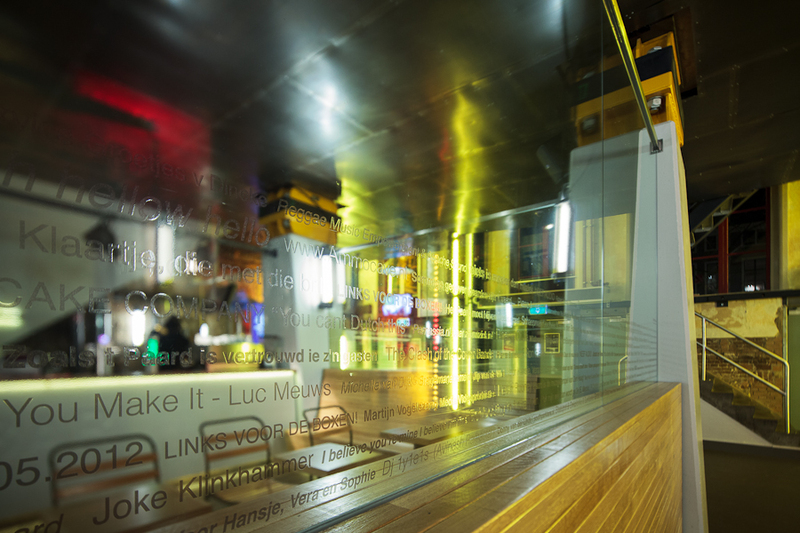 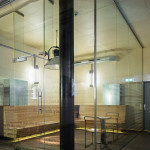 Ever since the extensive refurbishment ten years ago, by OMA Rem Koolhaas, visitors’ needs have changed. 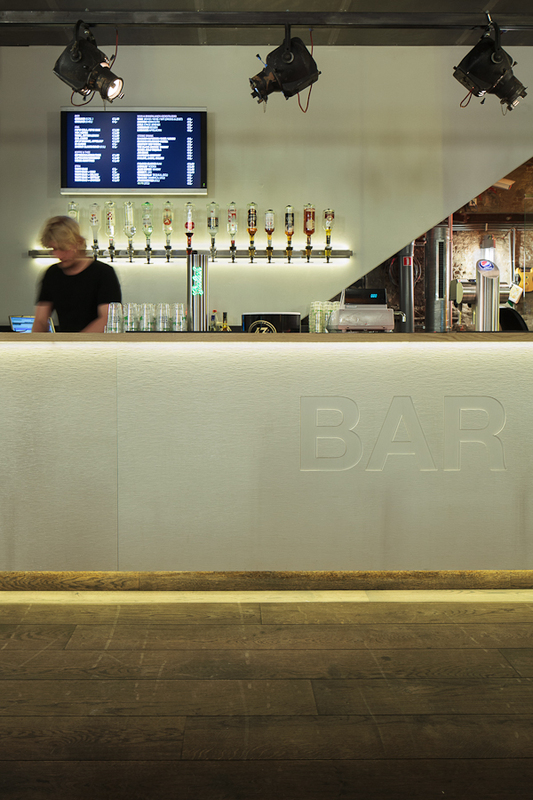 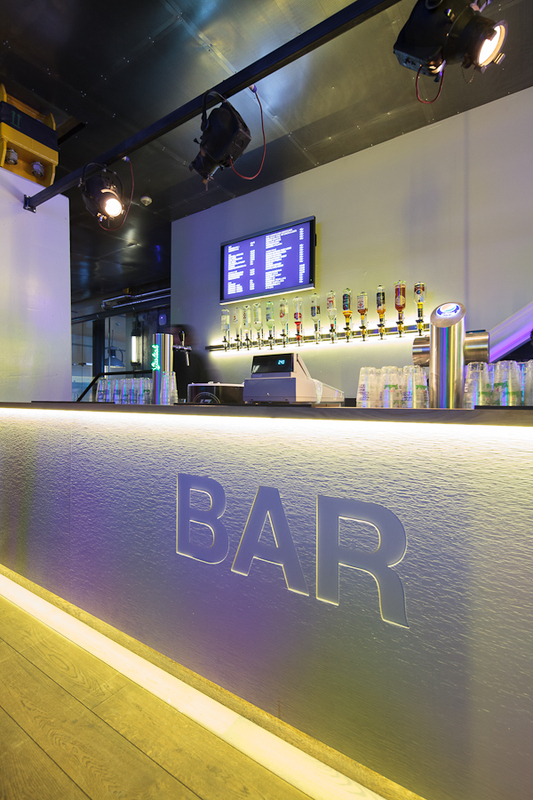 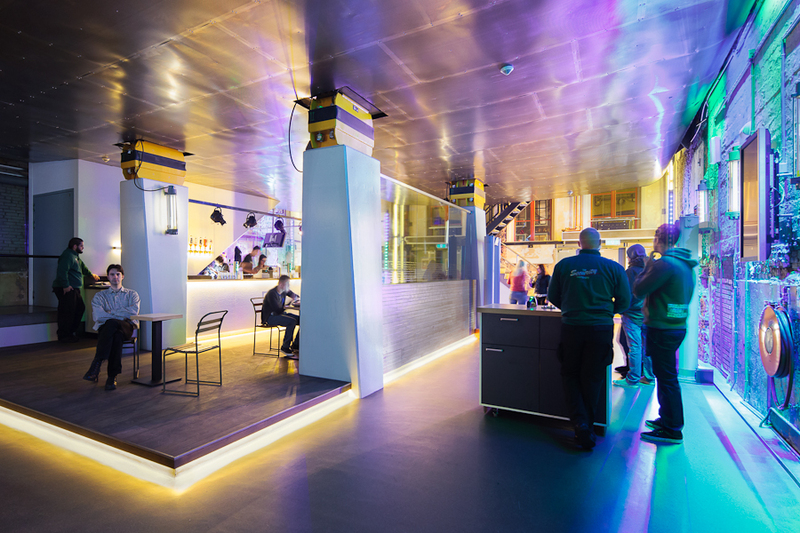 Accompanying the two stages the new foyer houses a comfortable bar and seating area in which people can have a quiet drink or a small snack. 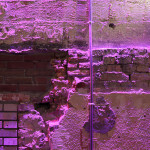 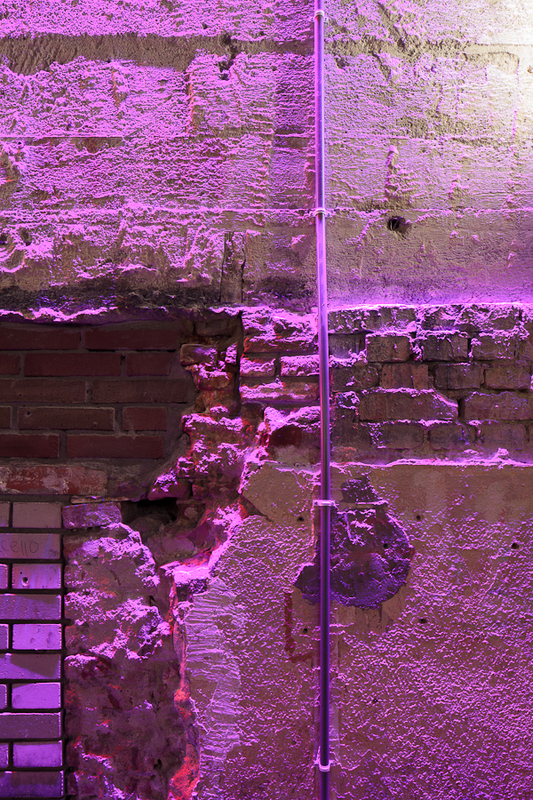 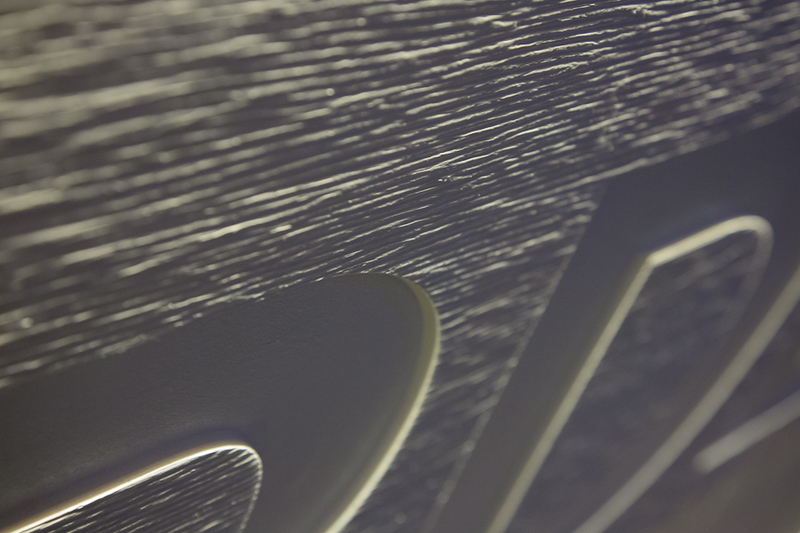 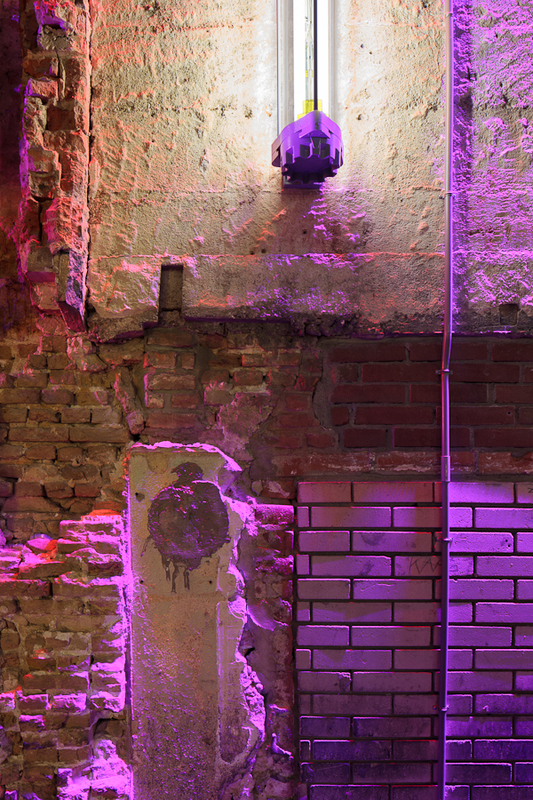 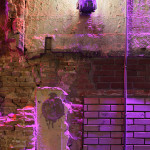 been directed over the rough and weathered walls while floodlight brings out its character, applied Led-lighting can be changed according to the nights’ atmosphere. 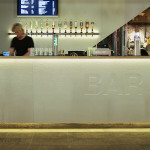 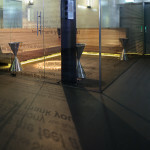 The new layout, solid use of materials and spatial lighting has transformed the foyer into a comfortable lounge. 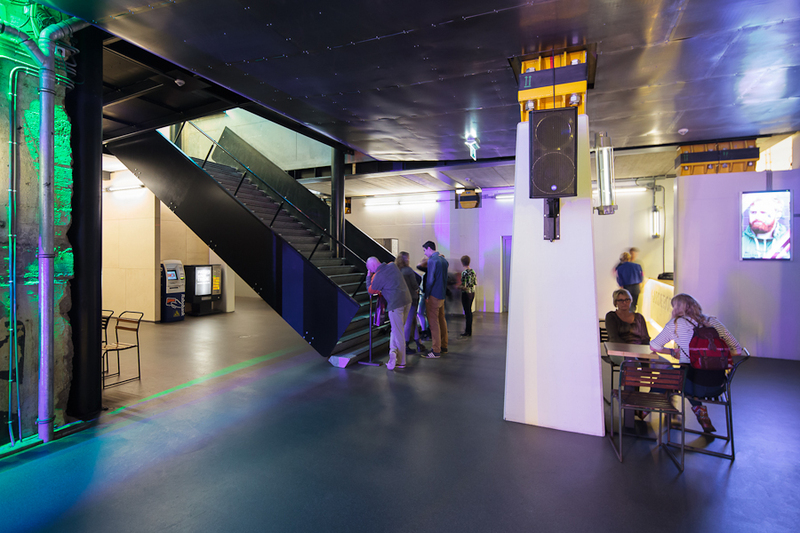 “’Het Paard van Troje’ has grown up”!commented a regular visitor of the concert hall, The Hague can be proud of its new public living room.